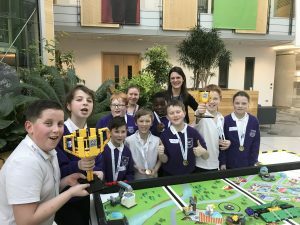 This year’s FIRST® LEGO® League competition in North Tyneside culminated in two glorious days of competition at Sage UK on the 30th and 31st January. FIRST® LEGO® League is for young people aged 9 to 16 years, working in teams of up to ten students with a supporting adult coach. 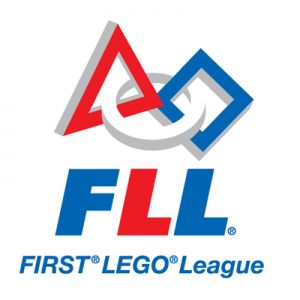 Each year FIRST® LEGO® League releases a new challenge for the teams. The challenge involves a robot game and a research project, and students need to demonstrate the FIRST® LEGO® League core values throughout all their work. This was our biggest North Tyneside tournament yet, with 20 teams and 145 students taking part over two finals days. The theme of Hydrodynamics got students thinking about the human water cycle and how we use, dispose of and transport water. We saw some amazing presentations of innovative ideas, incredible team work, fantastic robot designs and coding skills to complete the robot missions. The winning teams were Cullercoats Primary School and Riverside Primary School. 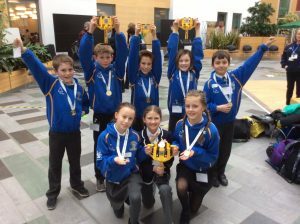 Both schools are now invited to attend the FIRST® LEGO® League UK and Ireland finals, which take place on Saturday 24th February 2018 at the University of the West of England Exhibition and Conference Centre in Bristol. This years North Tyneside competition was also supported by a number of north east companies who are all keen to support the growth of the STEM industry in the region by inspiring young people to develop the skills they’ll need to succeed in this area in the future. Sage provided sponsorship which paid the schools’ entry fees and supplied them with robot kits. Also supplied a fantastic venue for the finals days, assisted with the planning and organisation and provided lots of volunteer staff to help staff the event. Northumbrian Water provided sponsorship which paid the schools’ entry fees and supplied them with robot kits. They also supported the research project work that the teams did by providing a visit to their Durham base, giving the schools access to real experts in the water industry. They also provided staff to be judges at both competition days. Capgemini provided sponsorship which paid some of the schools’ entry fees, provided mentors that visited the schools in the build up to the tournament and helped with judging at the event. Tharsus provided robotic and mechanical engineers to be mentors that visited the schools in the build up to the tournament and helped with judging at the event. Newcastle University provided support with judging at the event. Colleagues from North Tyneside Council also provided mentors that visited the schools in the build up to the tournament and helped with judging at the event. Thank you to everyone that has been involved in FIRST® LEGO® League this year. It was our best season yet! And good luck to Cullercoats and Riverside Primary Schools at the UK finals!